Thank you to everyone who entered our competition on Facebook to name our new mascot. We had some great suggestions and after a lot of deliberating we settled on Bobby! Bobby was first suggested by Ruth Humpherson whose son Cooper attends Kids 1st QE. Ruth and Cooper won £50 Toys “R” Us vouchers for suggesting the name. 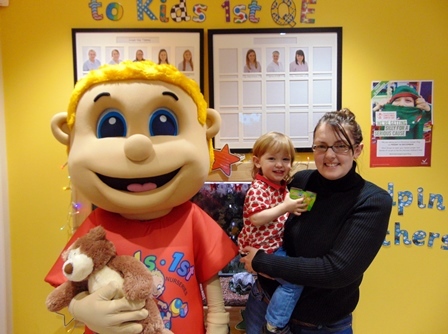 Look out for Bobby at our events in our nurseries.